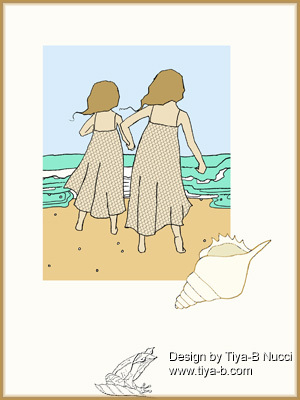 The Less is More challenge is sand so here’s an image I love two girls walking on the sand, the digital stamp is from A day for Daisies. It’s colored in PS elements, then I added a shell found somewhere. This is just beautiful Tiya!